AL East Preview: Does Toronto Have the Goods? When last we saw baseball, Madison Bumgarner had just completed one of the greatest World Series performances of all-time to rob my Royals of an albeit unlikely championship. Four months later, baseball has moved on (even if I still haven’t) and spring training is finally upon us. While the AL East has typically been the strongest division, the Yankees are going through some transition seasons after the last of the “Core Four” has retired, while Boston hasn’t been as consistent without Theo Epstein calling the shots. Here’s how I see the division playing out. 1. 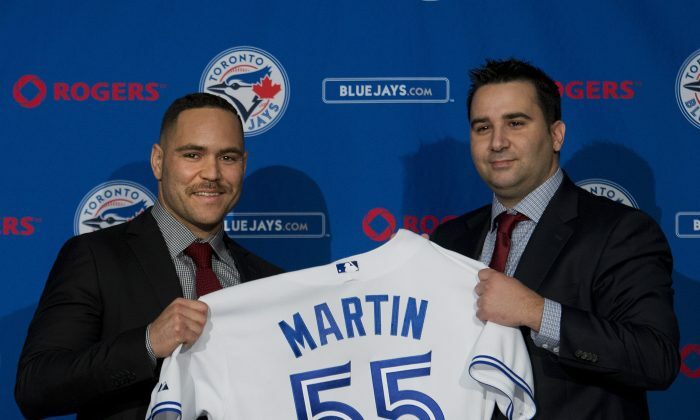 Toronto Blue Jays: I love the signing of Russell Martin—even if they had to overpay at five years, $82 million. He gives the Jays an under-rated veteran presence and he can still hit. When Martin left the Yankees for the Pirates after the 2012 season it un-coincidentally marked both the end of the Yankees run and the beginning of Pittsburgh’s two-year postseason run. Oh, and Toronto also acquired third baseman Josh Donaldson from Oakland. 2. Baltimore Orioles: Even though they lost Nelson Ortiz and Nick Markakis, they have a good nucleus with Manny Machado, Matt Wieters, J.J. Hardy, and Adam Jones—if they can all stay healthy. Machado and Wieters combined to miss exactly two-thirds of the season, yet Baltimore made it all the way to the ALCS. A lot will hinge on Chris Davis, who hit just .196 last season after finishing third in the 2013 MVP vote, finding his swing. He better too, because the Orioles did little this offseason to improve the team. 3. Boston Red Sox: Even though it was an expensive offseason in Boston, I don’t think they were wise with their money. On paper, signing Pablo Sandoval and Hanley Ramirez can only make your team better, especially in an offense-deprived era. But one is an overweight playoff hero, while the other is north of 30 (31) and an enigma at that—yet both were signed to five-year deals. Remember this is the same front office that once thought hiring Bobby Valentine was a good move. Fortunately, they still have David Ortiz and Dustin Pedroia to keep them respectable. 4. New York Yankees: Joe Girardi is one of the best in the business, but the Yankees brass will put him in a tough spot if A-Rod is on the Opening Day roster. After all he’s put his teammates, the organization, and the fans through these past couple of years, who’s rooting for him?? With no Jeter to steady the clubhouse this will be quite a test. As far as on-field concerns, Didi Gregorius will be a defensive upgrade at the all-important shortstop position. 5. Tampa Bay Rays: Poor Tampa Bay. Just a year ago they had the strongest GM-manager combination in the game in Andrew Friedman and Joe Maddon. Both are gone now so is the confidence that they can continue fielding a competitive team with such a small payroll—never-mind the fact that David Price is gone. On the positive side they still have Evan Longoria and a good starting rotation, and brought in veterans Kevin Jepsen and Asdrubal Cabrera. Max Scherzer was overpaid by the Washington Nationals. What Else Could A-Rod Apologize For? A-Rod has apologized to the Yankees for his actions over the past few years. Given his history, I'm guessing that was a pretty long apology.